The pace of technological change is driving information overload and compelling organizations to find the kind of talent that can thrive in the unknown. As new means of connecting emerge, faster and better ways of doing business evolve at light speed. This is disruption, and organizations that aren’t disrupting will find themselves disrupted. Only those who invest in renegade talent will thrive. Renegade talent is able to see outside the framework of how things have always been done and thrive in an environment of chaos. Don't try to control the chaos, shape it up. There’s no such thing as controlled chaos. The best you can do is seek to understand chaos, so you can configure its power to your advantage. This is exactly what renegade talent in the age of Internet of Things (IoT) is able to do—lead organizations to success in this new frontier. Customized market intelligence, uniquely designed for you. Need specific answers to your most pressing questions on the real-time talent market place? 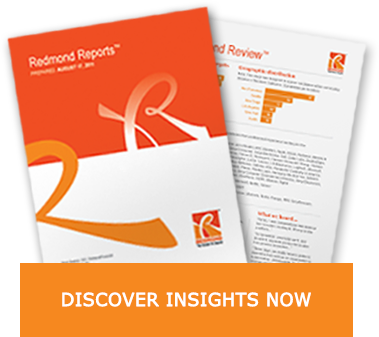 Our Redmond Reports™ are hand-crafted by our expert market analysts to deliver the exact information you need. This is next-generation business intelligence you can't get anywhere else. The only way to successfully recruit renegades is to be one yourself. 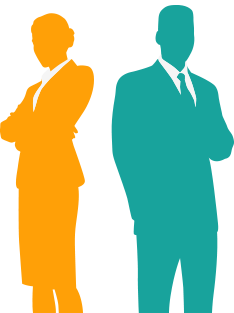 For over 25 years, Redmond has successfully identified the candidates with the potential for the highest value contribution to our clients' organizations. To what do we owe our success? Our process. Resumes are useless in recruiting the kind of renegades we find and recommend. They provide a lot of information about past success but precious little regarding future potential. It's time to look forward, not back. We are dealers in potential. Using the Future Value Contribution Quotient (FVC Quotient), we're able to quantify the exact potential a candidate exhibits for a more in-depth talent analysis. Every new hire is an investment in your company; it's time to take their future growth seriously. The best results come from allowing true renegades the space to operate. We can capture disruptive talent for your organization because we are disrupters ourselves. Trust your next talent search to the only firm with the intuition and instinct to track down the renegades your organization needs.